Following the sad death of Prince Kelechi Ineke, police officers accused of torturing him have been arrested. 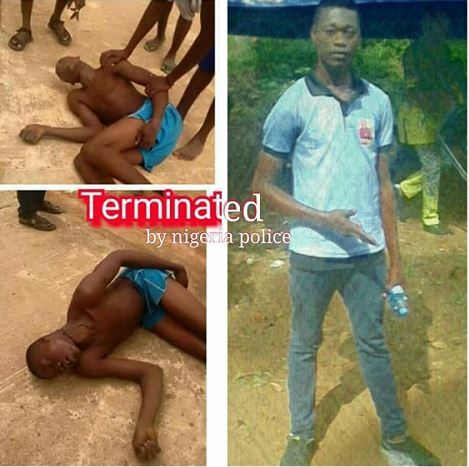 More shocking details have emerged how Prince Kelechi Ineke, the son of Abaomege king was allegedly tortured to death by police officers in Abaomege, Onicha L.G.A of Ebonyi state for fighting with a police officer's son, according to a report by Daily Crimes Nigeria. The Prince's gruesome murder was reported on Monday, 2nd day of April 2018 in Abaomege. The report revealed that Prince Kelechi Ineke, the son of HRH Eze Gabriel Ineke a.k.a Echemugo 1 of Abaomege was arrested for fighting with Ufem Umet Ekwe, son of inspector Umet Ekwe serving in the community. Kelechi was arrested, detained, tortured before being denied bail. He was reportedly starved to death by the police, but the rope found on his neck like someone who committed suicide in the cell is the mystery behind his death that needs to be unravelled. Interviewing a youth from the community who pleaded anonymity, DAILY Crimes Nigeria learnt that the police inspector and the DCO were able to carry out this heinous act because the king is very old, sick and bedridden for a long time now and has not been around in the community. "The king has been very sick for a long time, he is even in the hospital right now, you know he is very old." a community member said. According to late Kelechi's friend "This man has been disturbing us in this community, he has been going after Kelechi's girl friend and Kelechi had on several occassion pleaded with him to stay away from his girl friend. When Kelechi was arrested he hijacked the case just to get his pound of flesh. He refused to grant him bail even to give him food. Like play like play it was four days." When one of the community youth was approached with the question 'why didn't the youths protest to the police station for four days in custody before the untimely death of the prince', he said "we didn't see this as a case or a problem. 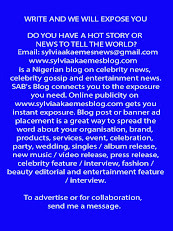 Even Prince Nnamdi did not inform Abaomege youths because we didn't see this as case enough to inform the youths." However, Ebonyi State commissioner of police, Mr Titus Lamorde in the company of Onicha LGA Chairman , Eng. Ogbonnaya Igboke and SSA to Ebonyi state governor on security, Mr Ken Ugbala had yesterday 2nd April visited Abaomege for fact finding. Meanwhile, all the police officers involved including the inspector's son have been arrested and taken to Abakalike, the state capital in cuffs by the commissioner of police. Adding to this repost, the Ebonyi state house of has also constituted a committee to investigate the incident. This is a case gone beyond the community. The government of Ebonyi has taken over and the outcome is what everyone including daily crimes Nigeria is earnestly waiting for. So far the youths and members of the community are eagerly waiting for outcome of their arrest as any attempt to politic with prince Kelechi 's death will not be condoned.